Home » Family » Marriage Matters with Paul Shogren » What is the difference between a Sacramental and a civil marriage? If a non-Catholic asked you to explain the difference between marriages in the Catholic Church and marriages outside the Church, could you do it? If you think you’d be scratching your head for an answer, you’ve come to the right place. Paul Shogren is the host of The Catholic Leader’s new series, Marriage Matters, inspired by Pope Francis’ apostolic exhortation, Amoris Laetitia. Paul Shogren is a canon lawyer for the Regional Tribunal of Queensland. He has been married for 26 years and has six children with wife Helen. Paul became a Catholic while dating Helen and the pair were married in April 1990. The Shogren family travelled around the world organising community arts before facilitating marriage preparation courses in England. The family returned to Australia five years ago and became involved in Ministry to the Newly Married mentoring couples in the first five years of their marriage. Paul will share the top most frequently asked questions about the Catholic Church’s teachings on marriage, family and relationships. 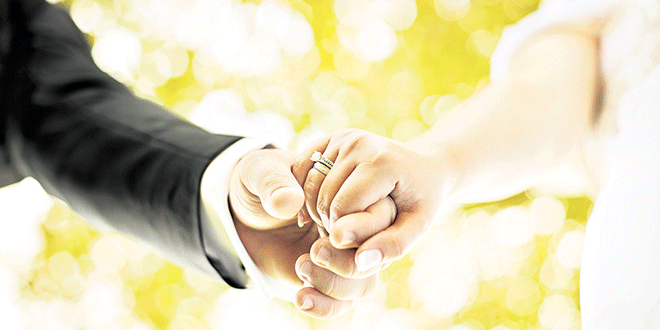 Question: What is the difference between a Sacramental Marriage and a Civil marriage? Answer: The most important distinction in canon law is not between a sacramental marriage and a civil marriage – after all it is possible that a civil marriage can also be a sacramental marriage – I’ll explain that in a moment. The really important distinction is between a sacramental and a non-sacramental marriage. A non-sacramental marriage, what is also termed a “natural bond” marriage, may, in certain circumstances, be dissolved during the lifetime of the parties. A sacramental marriage, on the other hand, can only ever be dissolved by death. The natural bond union comes into existence if one, or both, of the parties to the marriage is unbaptised. So, when two Hindus marry, the Church says “we recognise this arrangement as a marriage because these two people are doing one of the most natural, and obvious, things in the world – getting married”. But what if two baptised persons marry? In this situation the Church says that which is natural, usual and everyday is elevated to something supernatural, extraordinary and most remarkably, a means of salvation. That is to say it becomes a sacrament. If I might draw an analogy with the Eucharist – the everyday and entirely unremarkable stuff that is bread and wine, becomes Christ in His entirety. So it is that this natural arrangement of marriage, when it occurs between two Christians, is a sacrament. Nothing else needs to happen to turn it into a sacramental marriage. The difference between the two types of marriage is that the sacramental marriage, because it has Christ’s very self in there, cannot be put aside by mere human power. In other words it cannot be dissolved, not at least by anything that is under our control. To go back to that perhaps puzzling statement I made at the start. It is quite possible that a civil marriage can give rise to a sacramental bond. This is what occurs when two baptised Protestants marry, even if it is not in a church ceremony. This is not the same, however, for Catholics and the Orthodox – ordinarily they can only validly enter marriage according to the form of marriage required by their church.